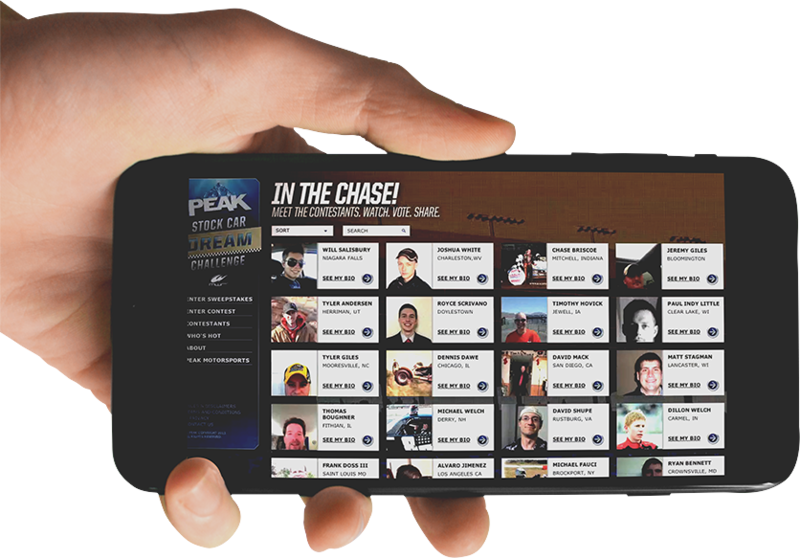 As a small, independent company, PEAK wanted to challenge the global big oil conglomerates nationwide. PEAK selected The Armory as their Digital & Social Media Agency of Record at the start of the process to contribute to the development of the brand, its target and tone. This included the creation of an integrated digital and social media strategy, web design & development, search engine marketing, content marketing concepts, digital media planning, and campaign execution. This included the launch of 4 new websites, 3 microsites, 75 videos, 4 hours of TV programming, (1) Commercial. 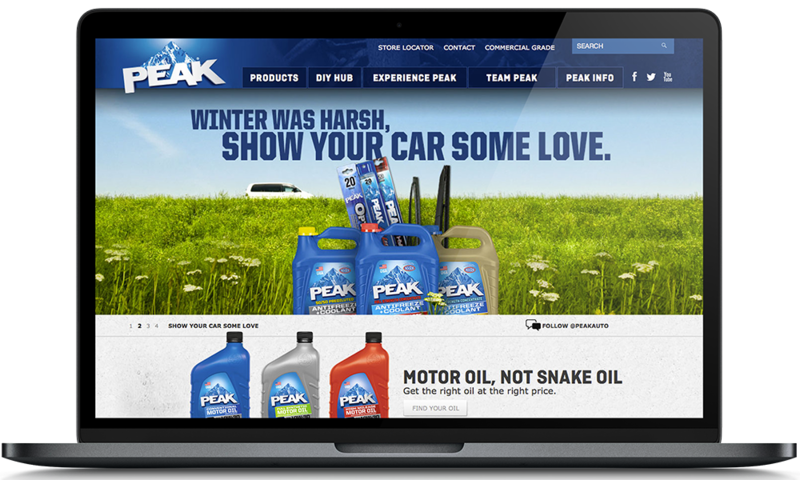 The PEAK brand is offering a fresh approach for the category, and digital integration was critical. The Armory delivered a living, media-rich site with integrated social channels and dynamic promotional units to carry the brand story. 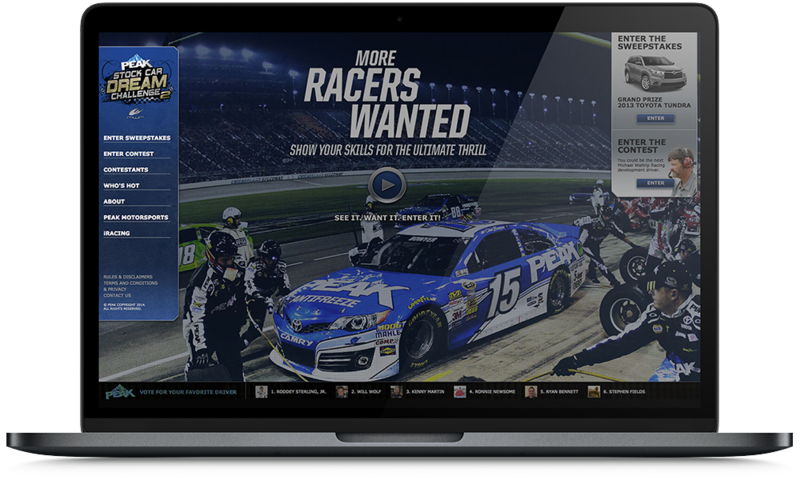 Marketing renegade and PEAK CMO Bryan Emrich came to The Armory with a promotional concept to find the next great stock car star. We planned, proposed and executed a digital talent search, leveraging every form of social & digital to raise the visibility of the promotion, the drivers and the brand. A microsite, mobile and Facebook applications fired on all cylinders as influencers and drivers spread the PEAK message. No integrated brand campaign is complete without a comprehensive social media strategy. The Armory examined the social space around PEAK’s product categories and built a comprehensive social strategy and marketing calendar. Way beyond community management, the plan included brand support with frequent visuals, event coverage, video content creation, influencer activation, app planning and development and much, much more.